The London Farm Show is back at Western Fair District in its 79th year. 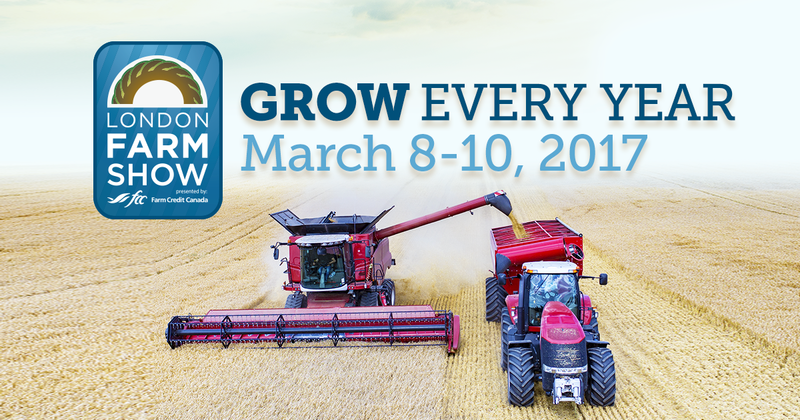 The show, presented by Farm Credit Canada, is the largest spring farm show in Eastern Canada and will feature the top agricultural exhibits, displays, technology, seminars and education. The three day show boasts over 370 exhibitors and 300,000 square feet of show space, bringing together agri-business in preparation for the 2017 farming season. The London Farm Show brings current and trending topics to improve agricultural operations. Daily speakers and seminars will take place in the Dupont Pioneer educational lounge. The National Bank Stage will feature Andrew Campbell and Moe Agostino, who will provide knowledgeable and articulate commentary on the agriculture industry. Campbell’s session “Lessons in Advocacy – Tips to Help You Speak Up” and Agostino’s, “2017 Community Market Outlook, Risk and Opportunity” will help educate attendees. Also, at the show will be the annual induction of worthy recipients into the Middlesex Agricultural Hall of Fame which will take place Wednesday, March 8th at 11am in the Carousel Room at Western Fair District. The 2017 ceremony honours Richard Albert and Henry Noel Gibson; Dr. Donald Guest Grieve and Meredith Robb who all made significant contributions to the agricultural industry in Middlesex County. As always the staff and volunteers of Western Fair District’s Farm Show look forward to welcoming the agriculture community to this year’s event. FREE for children 11 and under! Admission can be purchased at the doors for $16. * Plus fees and HST. Advanced admission available until March 7th at 11:59PM. Tickets can be purchased online or at Guest Services.